In this fun and innovative engagement, Ignite helped Enfold conceptualize and build a Skype Recorder ChatBot. 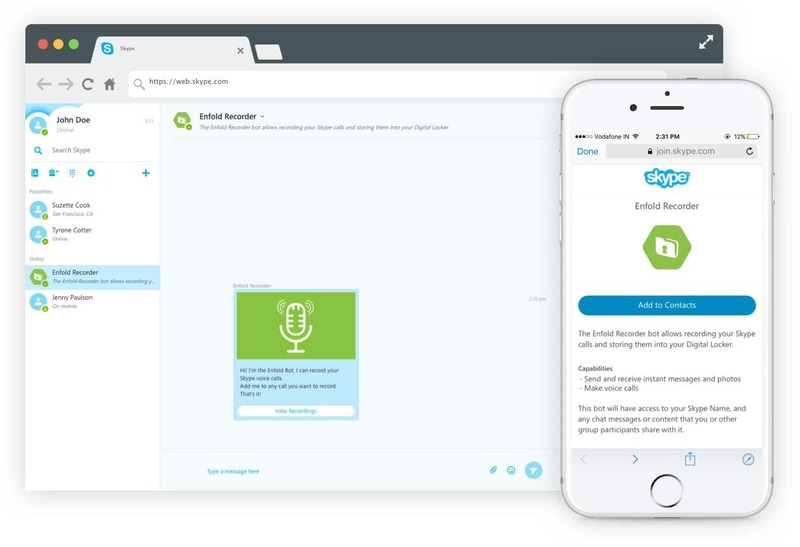 The bot allows any Skype user to record their Skype calls. 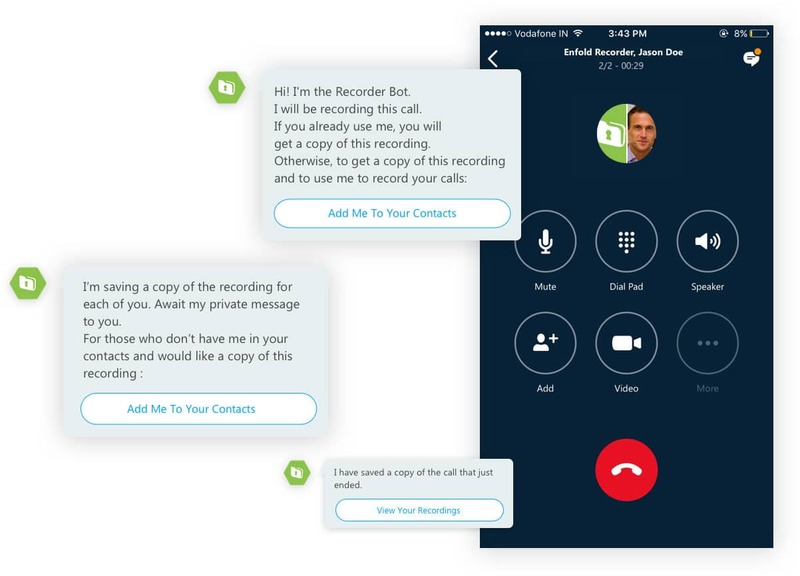 The user just adds the Skype Recorder bot to any Skype call and a recording of the call is made available to all parties on the call. The bot provides a chat interface and responds to conversations, provides access to the past recordings, performs speech to text and allow annotations of the recordings. The chatbot used Enfold’s Digital Locker technology as a repository for the Skype calls. Each bot user got their own private and personal digital locker. The bot supported Single SignOn to the Enfold Digital Locker from within Skype removing any requirement for signup or login. The bot used Skype’s API and bot framework. The UX focused on simplicity. No login, no special setup, a simple chat interface and access to a private library of past and current recordings. The bot understood a few commands and made available all access to current and past recordings. Users can clean noisy recordings which suppresses background noise. 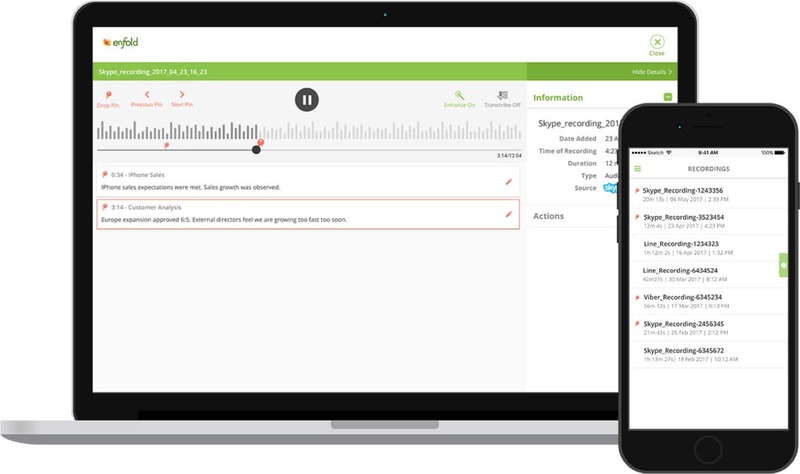 Furthermore, the user can annotate recordings with notes at specific times in the recording and can obtain speech to text transcripts. The bot was available in the Skype bot directory. Since then, Skype has changed their API interface and access to the conversation is no longer available to the bot.